After enjoying the massive success of his previous singles, “Solo Tonight”, “Hustle” (Ace Hood Cover) & “I Getti Liver”, Winter whose names are “Chukwuma Anasi” is back again to our appetites. 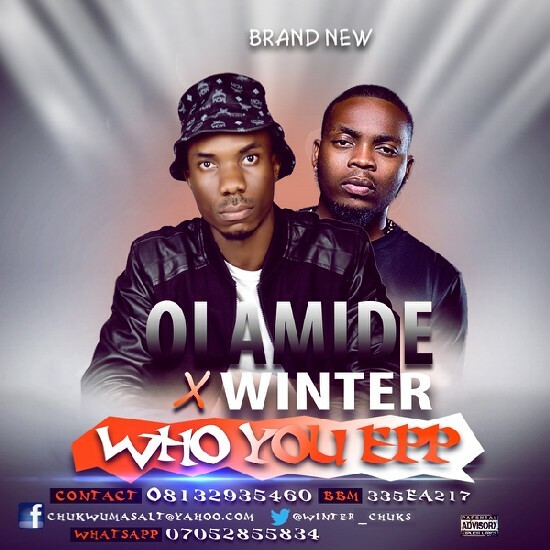 This time, he teams up with YBNL’ front man, Olamide do deliver a classic, dope joint on the song of the moment “Who You Epp”? Like always, he never disappointed on this one.Enjoy.